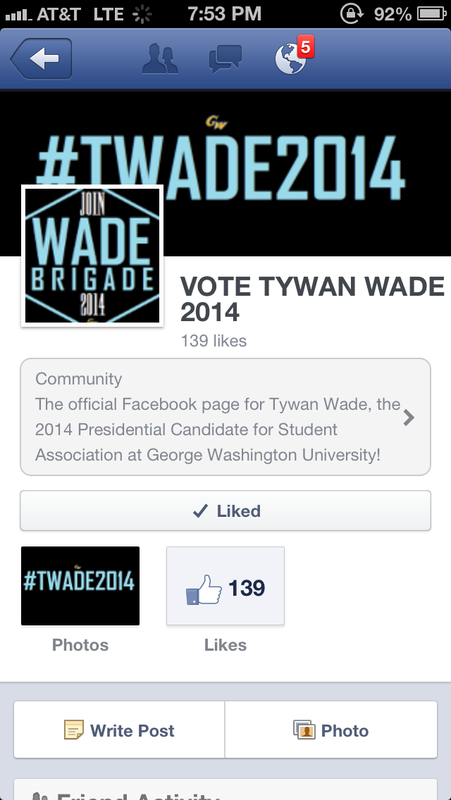 Freshman Tywan Wade announced he will be seeking the Student Association presidency next year, after he came in last for the same post last month. 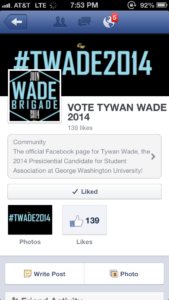 Freshman Tywan Wade, who came in last place for the Student Association presidency this year, officially announced on his Facebook on Thursday he would run again next year. Hours later he “unpublished” the page, saying that he regretted posting too soon although he said he wanted to keep the momentum from his campaign going. Wade, who earned 152 votes out of 4,855 ballots cast, ran on a campaign that promised to bring more restaurant franchises to campus, create a nightly detour in Georgetown for the Vern Express and overhaul the Program Board. He also said he would lobby the University to offer more dining plans, like giving upperclassmen the option to have dining dollars for J Street. Junior Julia Susuni earned the top spot with a whopping 59 percent of the vote.